Advantage:	Good sharpness and long lifespan. Machine:	Milling machine and bridge cutting machines. 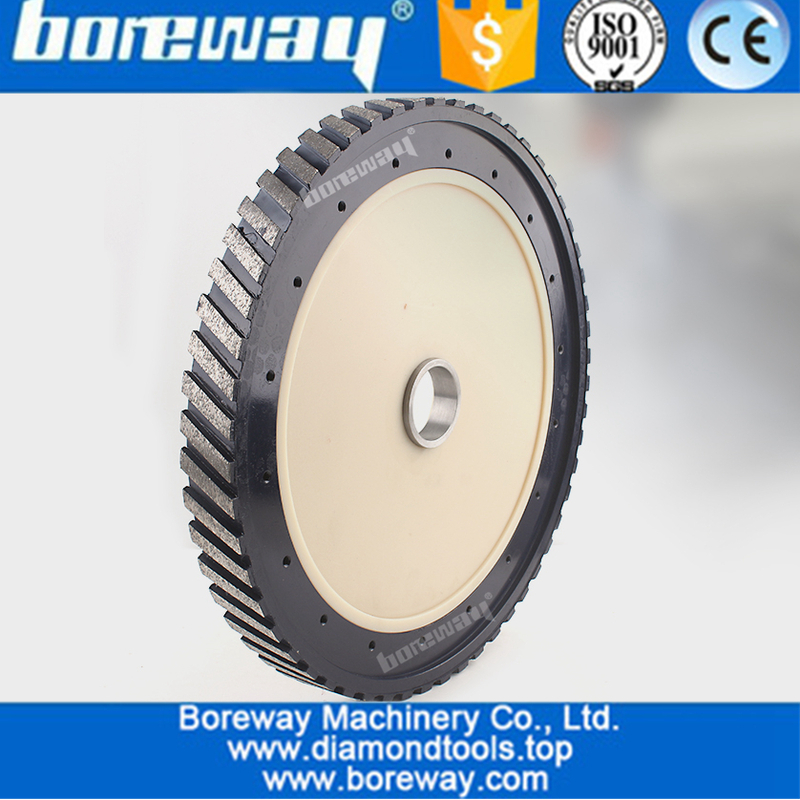 Diamond milling wheel is been applied to router machines or CNC machines.It is used to level off your slab before running your profile wheels.Diamond silent milling wheels are widely used for grinding surface of granite and marble. With special material,it save lots of weights and make no any noise when working. 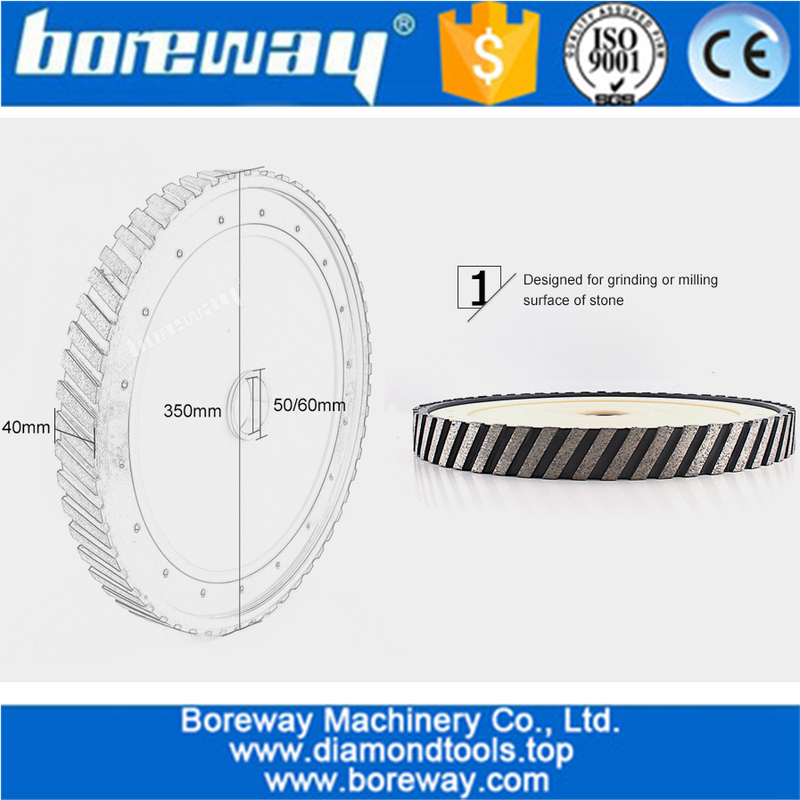 D350mm CNC segment wide 40mm diamond silent core milling wheel for grinding granite and marble are used for surface milling and material removal for various granite and marble stone. 1.Good performance and long lifespan. 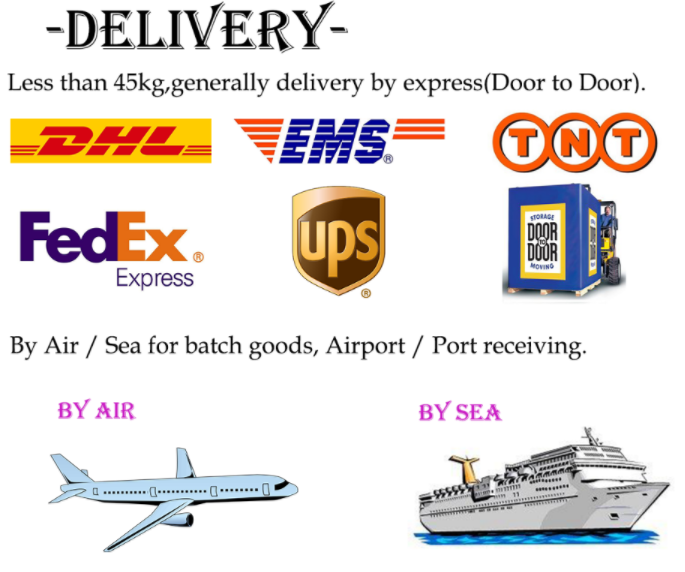 2.With feature of high efficiency,accuracy in shape and size. 4. 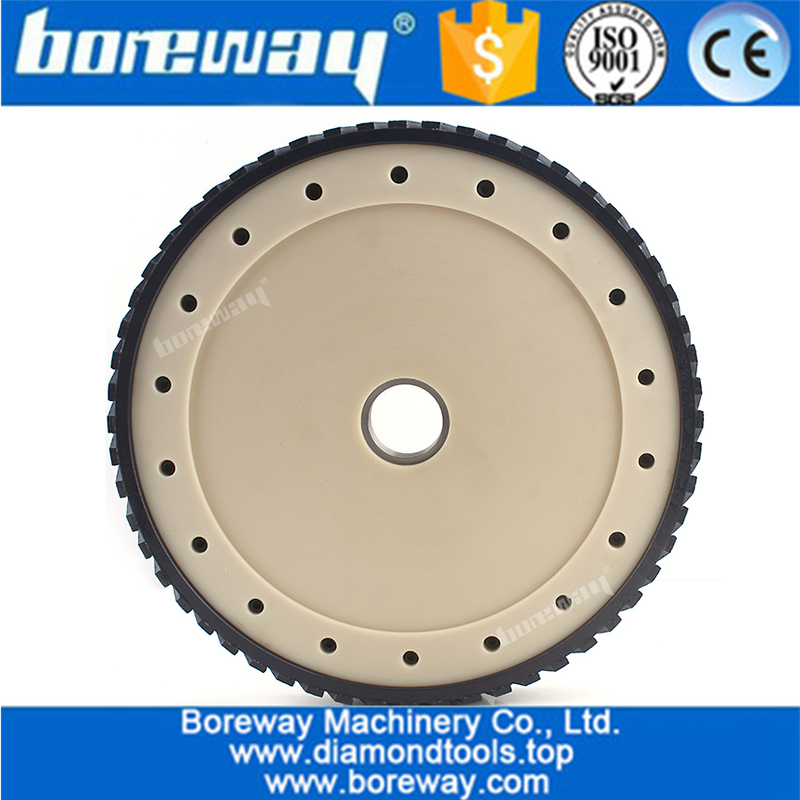 The diamond silent milling wheel was designed for stationary saws and milling. 5. The unique design with good sharpness allows easy dust removal, low noise and safety.machine. It is available in a granite and a marble surface, both options feature an ultra quiet core and high quality segment. Material Milling:For Granite, Marble, or other material? 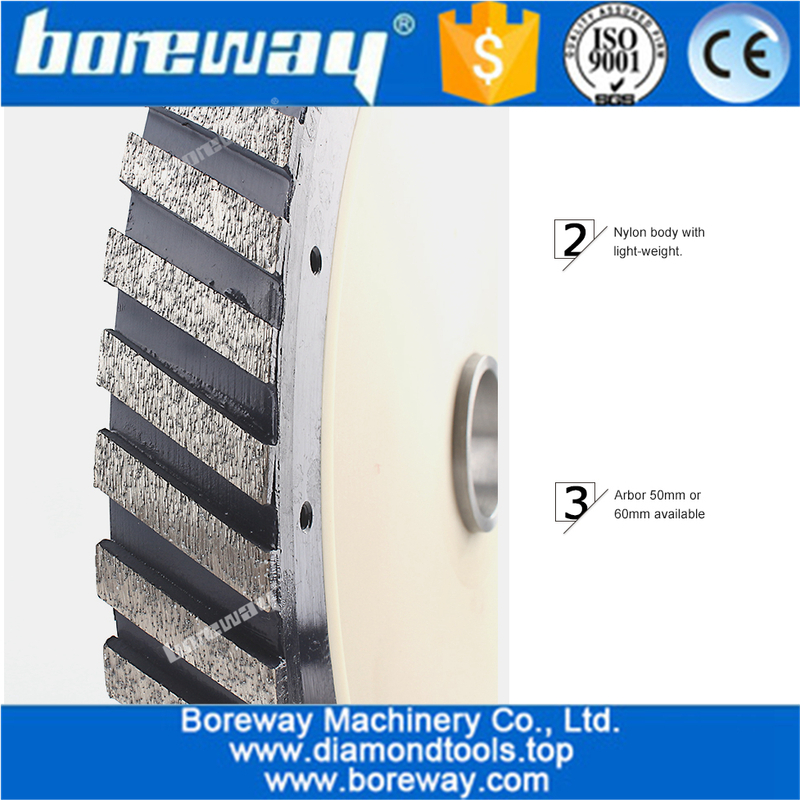 Send your inquiry to our good quality Long life and Smooth Cuts Steel Core Silent Profiling Wheel For Milling Granite products.